Probably this would be more appealing than the digits 1 to 4 used in the last teaching exercise. great post. How long have you been blogging? I really love this blog and have added it to my favourites. 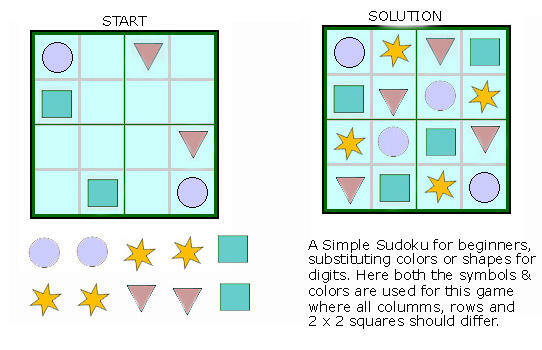 I have just set up a website all about blank grid sudoku, perhaps you could take a look and let me know what you think. Sudoku -What is it ?